Remnants Starting at $2.25 sqft. Description - Our Strong Rubber Tiles offer excellent recycled rubber tile solutions for residential and commercial users, demanding top quality interlocking rubber floor tiles. Corner, border and center cut tile options help make small kits for easy handling, but more importantly the multiple cut options make wall to wall installation a breeze. An added bonus is that the locks on the tiles are precision cut. This ensures seams to appear nearly invisible. The tiles are safe to use indoors and out and can be loose laid, which saves you from applying adhesive during installation. The rubber tiles also come with a full five year limited warranty. Weight – Each rubber tile weighs approximately 6.7 Lbs. 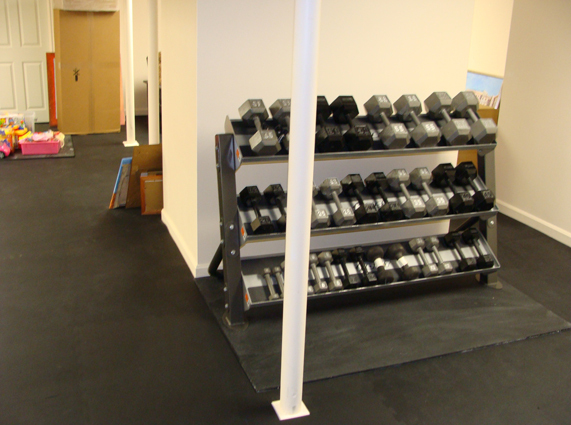 Recommended Uses – Strong Rubber Tiles have been used successfully in multiple locations and settings: home gym flooring, school weight rooms, dog care facilities, ski lodge flooring, locker rooms and dug outs, golf course club house flooring, over radiant heated floors, in basements, boat house flooring, outdoor storage sheds and in a variety of other places where an anti slip flooring with shock absorbing properties would be beneficial. Can be interlocked with the 8mm Designer Series Tiles. Can these tiles be used outside? Our 8mm Strong Rubber tiles can be used outside, however, they are not UV stable and may fade in direct sunlight. Also, with temperature fluctuations you will see some expansion and contraction of your flooring which may cause the tiles to separate or buckle. 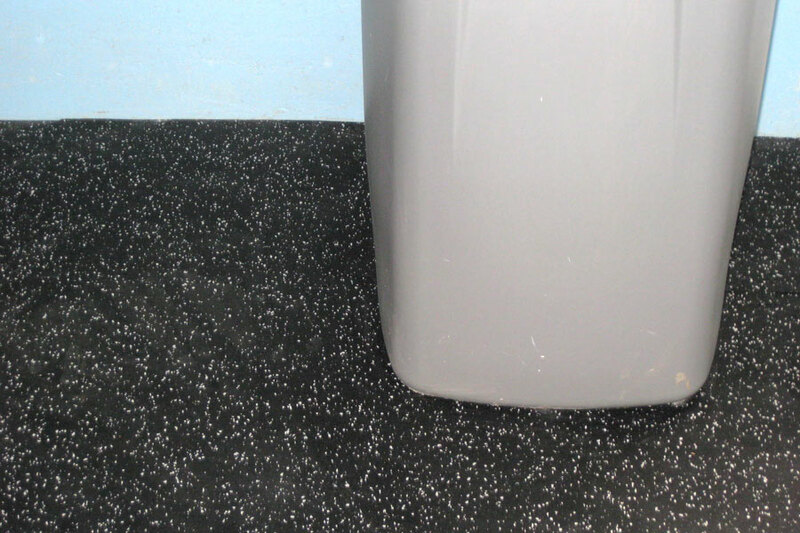 Recycled rubber flooring is porous and salts or dirt may get trapped in the pores. Cleaning of these tiles is very easy and can be done with a hose and some mild soap and water. Is it possible to create a 4' x 4' mat using center pieces, border pieces and corner pieces? From the picture it doesn't seem that the corner piece can be interlocked with the border piece, same for border-to-border pieces. Our 8mm Strong Rubber Tile corners and borders do interlock with other. The borders also interlock with each other as well. So to create the size mat you are looking for you have two options. The first option is to use 4 corner pieces. This will give you a mat size that is just a few inches smaller than a 4' x 4' mat. The next option would be to use 4 corner tiles, 4 border tiles, and 2 center tiles to create a mat that is slightly larger than a 4' x 4' mat. On the product page you can enter in your desired size and it will give you two options for achieving your desired mat or floor. Putting the 8mm rubber tiles over new hardwood floor. What should I lay down between them? The rubber directly on the hardwood would ruin the wood, correct? Thanks. 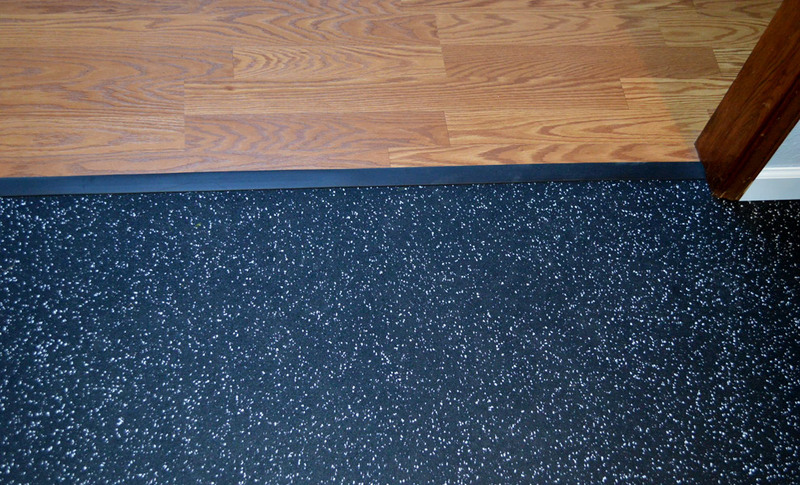 You can place our 8mm Strong Rubber Tiles directly on your wood floor. In most cases the rubber will not affect the wood flooring at all. 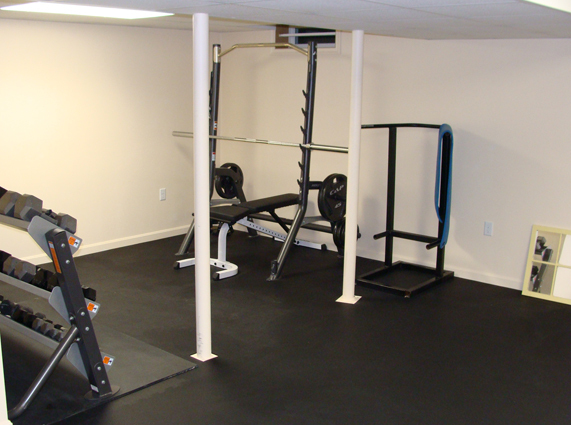 If there is a concern that it might, you can always place a plastic sheet between the rubber flooring and the wood to help protect the woods finish. I want to use your rubber interlocking tiles in my wood shop. I have two major concerns: My contractors table saw weighs about 400 #. First, would it be easy to roll the saw over the tiles and second, if the saw sat in the same location for say 6 months at a time would the tiles be permanently deformed? 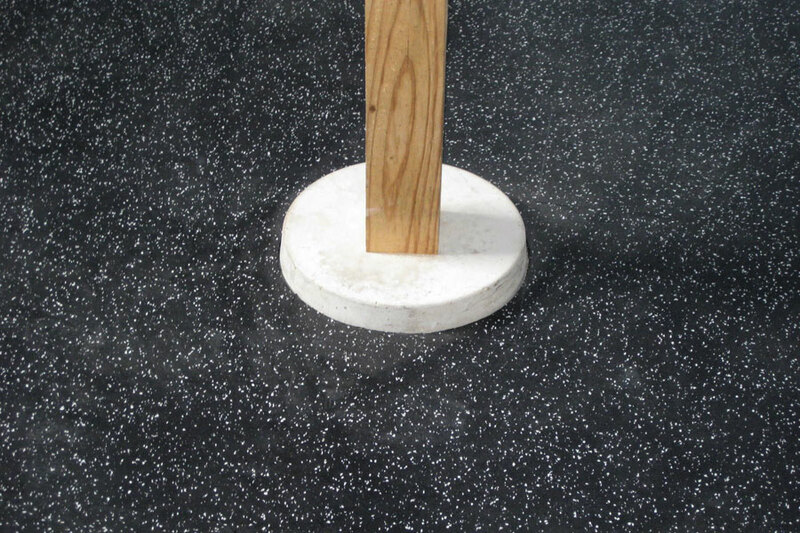 Your contractor saw would be able to roll easily over our 8mm Strong Rubber Tiles. 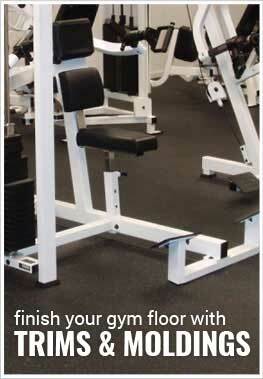 No matter how long the machine is left in any location on the floor, the floor will not be permanently indented. I work at a concrete company that has old linoleum tiles that are either broke or gone. Underneath is a regular wooden floor. Do I just tear out the remaining tiles, and lay down the new rubber floor without any kind of adhesive on the existing wood floor? Depending on how uneven the surface is, removing the rest of the tile may be necessary. Our 8mm Strong Rubber Tiles are interlocking tiles and require no adhesive, so you can install these tiles without the need for adhesive. 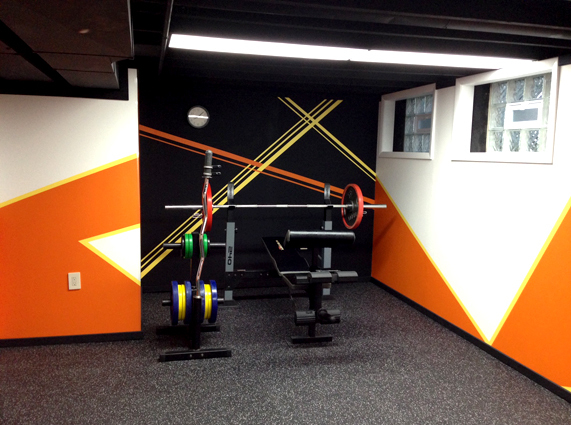 It has been about a month since I installed the 8mm rubber tiles and I am a very happy customer. At first I wanted to get the 8mm rubber rolls because I did not want the tile look but glad I changed my mind. Sure, at different lighting you can pick up where the tiles are but it is not that big of a deal. As for the seams, most all are pretty seamless and hard to spot. I went with the tiles instead of the rolls mainly as I was replacing wall to wall carpet and figured cutting around the edges and entries with tiles would be easier than dealing will a 140lb 20ft roll. Since I never used the rolls I cannot say if it was easier but the installation went smoothly with the tiles. One issue was getting a flooring transition. 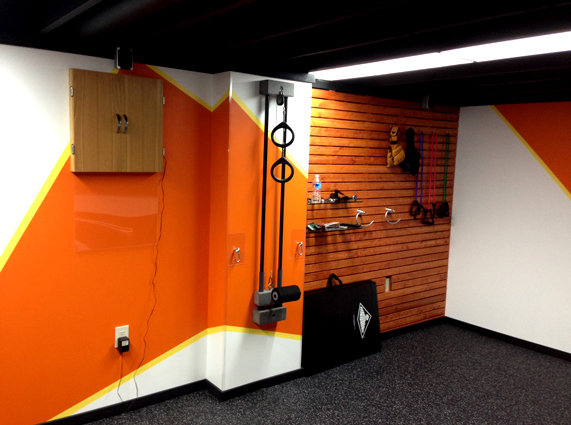 It was hard to find a rubber floor transition to use from the hardwood floor to the rubber floor. Finally it was Lowes that had the transition with the aluminum guide. It worked great, just make sure to nail it down in multiple spots. 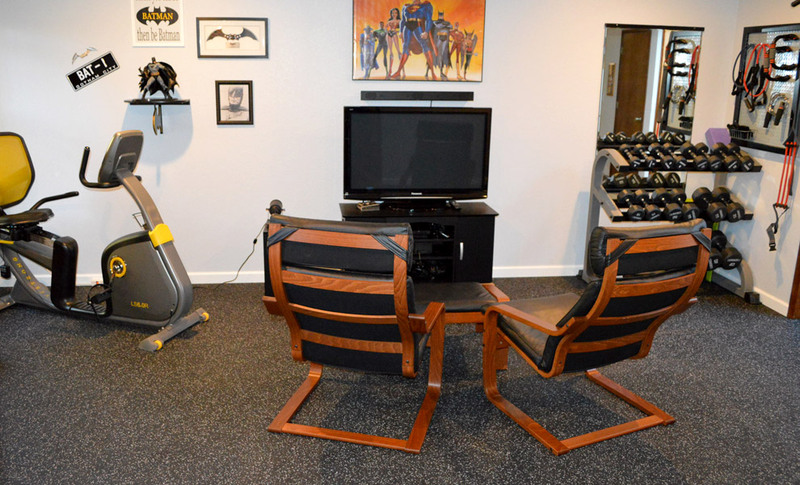 We use the room for both a game room and workout room. I have been doing P90X3 and with a lot of jumping around and plyometrics I have not seen any shifting or moving of the tile. I did not use any tape or glue during the installation. After a month there is still a slight rubber smell but it is mostly centralized to that room. The smell has gone down over time. 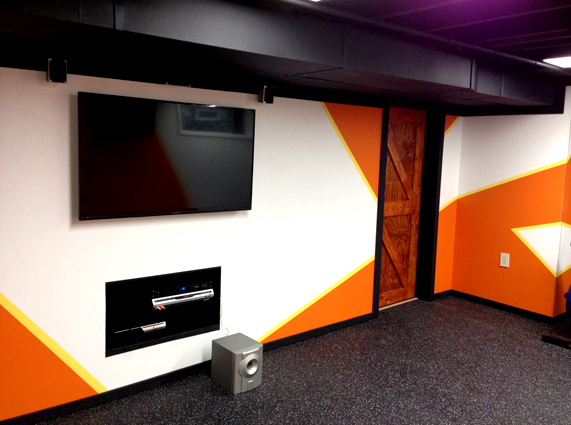 We also considered using the much more expensive designer series colors but for a 250sq. ft. room it was about $600 more. I also called my flooring guy for a cost of product from them and they wanted $800 more than RubberFlooring.com. After the sticker shock with the designer series color we went with grey and I am very happy with our choice. I am someone who usually reads all the reviews but rarely writes them. Hopefully this review was helpful. Customer service was very friendly and helpful when ordering product. Product was shipped in a timely manner. I really enjoyed working with the product,the material was easy to cut and fit. 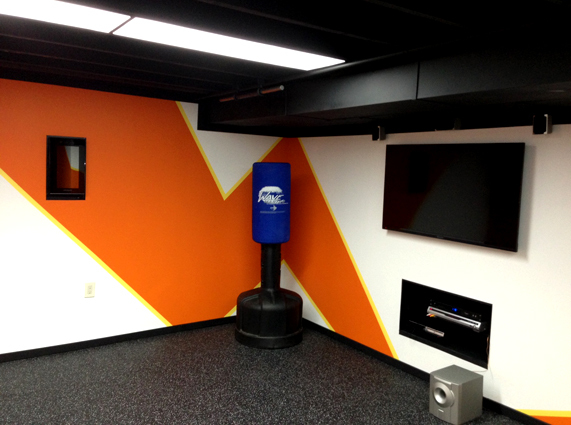 I was really happy with the floor after the project was complete. 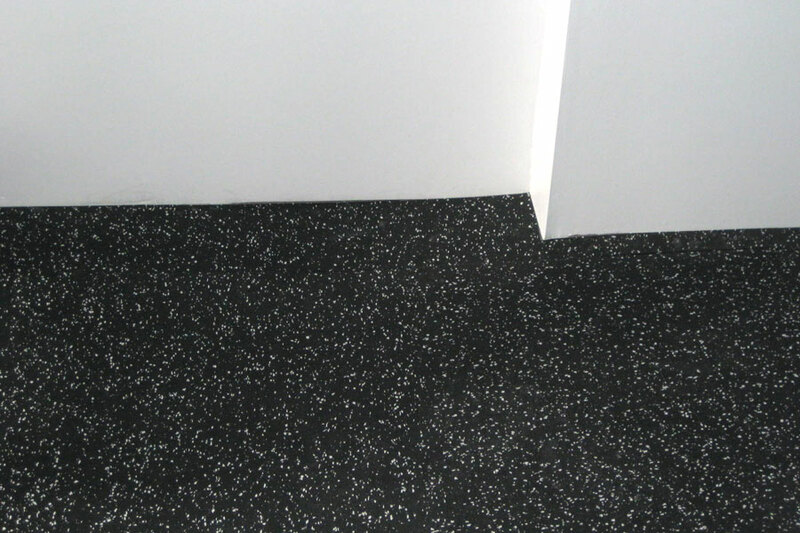 The rubber flooring is very forgiving when used over a older concrete floor. The seams are really unnoticeable after the squares are placed together and they make a nice clean looking floor.